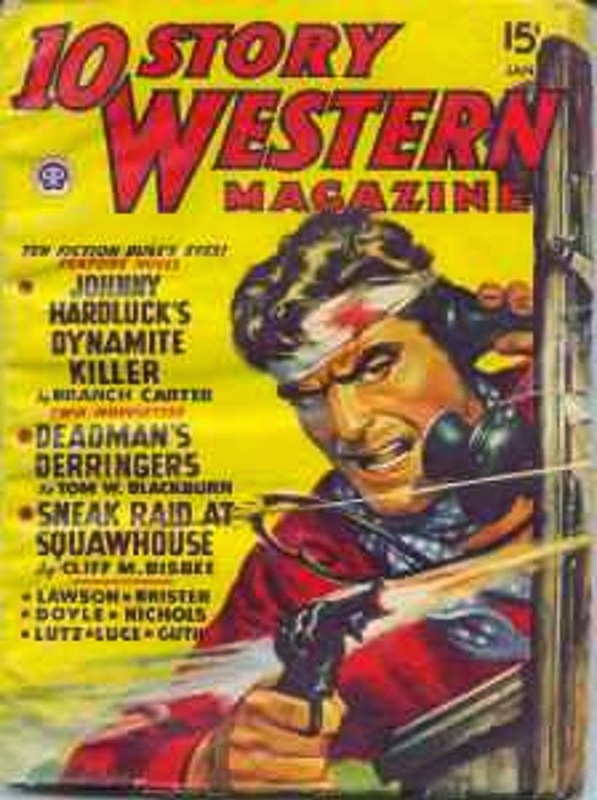 One of those "telephone" covers you see now and then on a Western pulp. The conversations never seem to be peaceful. They're always interrupted by a gunfight. 10 STORY WESTERN was a consistently entertaining pulp. This issue features stories by Tom W. Blackburn, Giles A. Lutz, Richard Brister, Art Lawson, and several other authors I'm not familiar with. I've seen Branch Carter's name on covers before but don't recall ever reading anything by him. I like the name of his series character, though: Johnny Hardluck. I'll bet the stories are pretty good, too. It sure is tough for a fella to call his girl without interruptions.